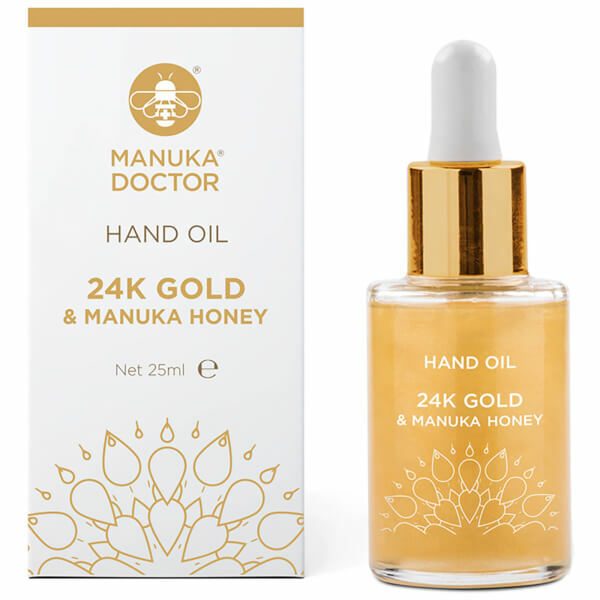 Pamper hardworking hands with the Manuka Doctor 24K Gold & Manuka Honey Hand Oil; a hydrating solution that effortlessly melts into hands, leaving skin nourished and nails strengthened. The hand oil is fortified with 24k Gold, Manuka Honey and a variety of luxurious Plant Oils, which work in synergy to envelop hands in a veil of essential and long-lasting moisture. 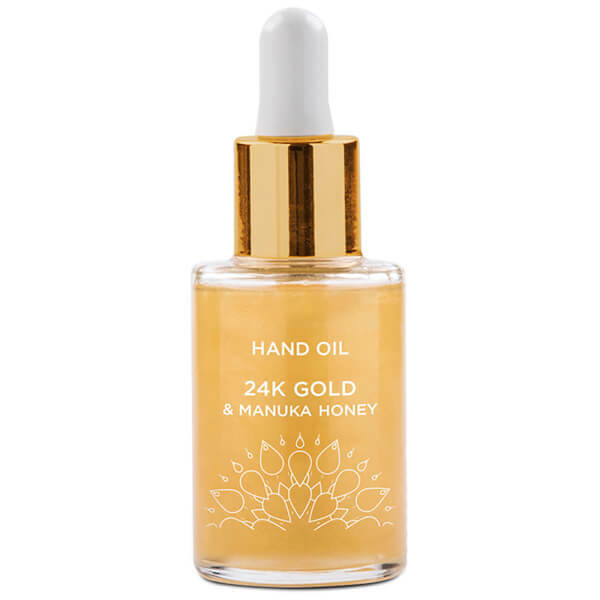 Not only hydrating dry hands, the oil helps to restore elasticity to skin to leave hands visibly firm and supple. Dispense a few drops onto dry hands and nails massaging in well. Use as and when required. Avoid direct contact with eyes. We recommend a patch test before use. Do not use if you have an allergy to any of the listed ingredients.